​We can do it for you. Contact us with the physical address of your dealership location. We will use Google Earth to make an assessment and count the lights as best we can. If there is a lot of visual interference we may ask some questions. Once we have the data from the assessment, our engineers will create a new Photometric Study and Lighting Plan Estimate. 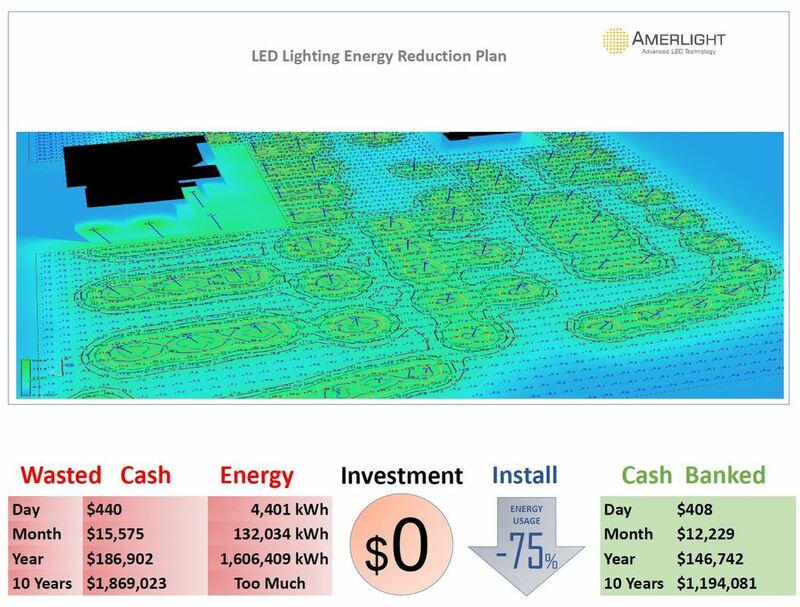 The finance department will use the Lighting Plan Estimate data to crunch the Cash Flow and Return on Investment numbers that will go into your Lighting Service Agreement.